He was spotted standing by a motionless body on the roadside near Dallas-Fort Worth National Cemetery on Sunday. It seemed he didn't want his friend to go through the unthinkable all alone. The heart-wrenching photo surfaced on Facebook and made people take action. "Can anybody help this poor dog, his buddy got hit by a car, I'm assuming and he's by his guard," wrote Samuel Flores, who originally posted the photo. Meanwhile, animal advocate Julie Fennell was in southeast Dallas where trash bags of dead animals are dumped almost daily, trying to feed some of the animals who are abandoned alive. "I had posted on Facebook that I was going to see if anyone else was out there," Fennell told The Dodo. "Samuel Flores posted the picture under my post asking if I could help." Fennell immediately posted the photo on an animal advocates page and begged someone who was closer to get there. Sam stayed by the dogs until fellow advocate Jessy Faiferlick could make the trip. Fennell was also on her way. Faiferlick arrived, the dog barked at her when she got close to the body of his friend. 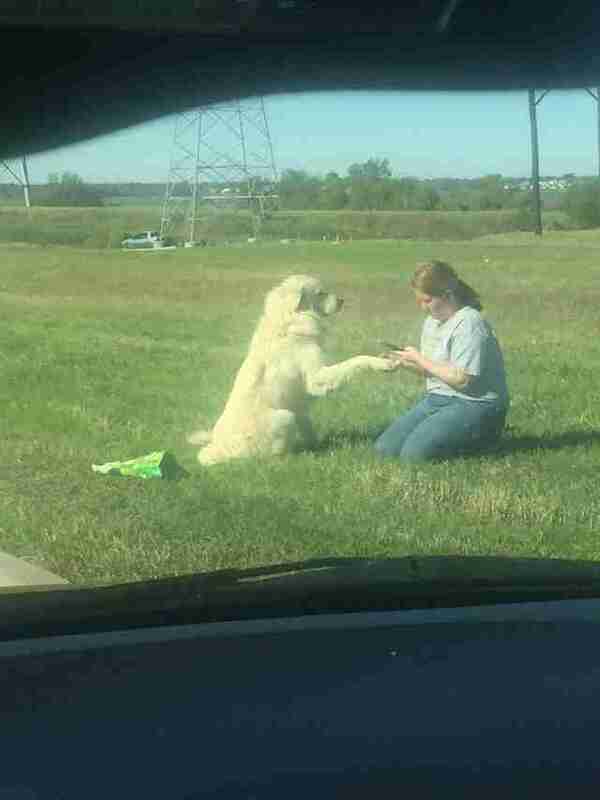 But when he realized she was there to help, he sat down and gave her a paw. "When I got there we took him to my car and loaded his friend up to get scanned," Fennell said. "You could tell from the blood in the road that he had dragged her body out of the road up onto the grass. When we drove away he got into the small back window of my car to look for his friend." Based on the condition of the other dog's body, people realized that the loyal dog had been standing with him for hours. "He is a very loyal dog," Fennell said. 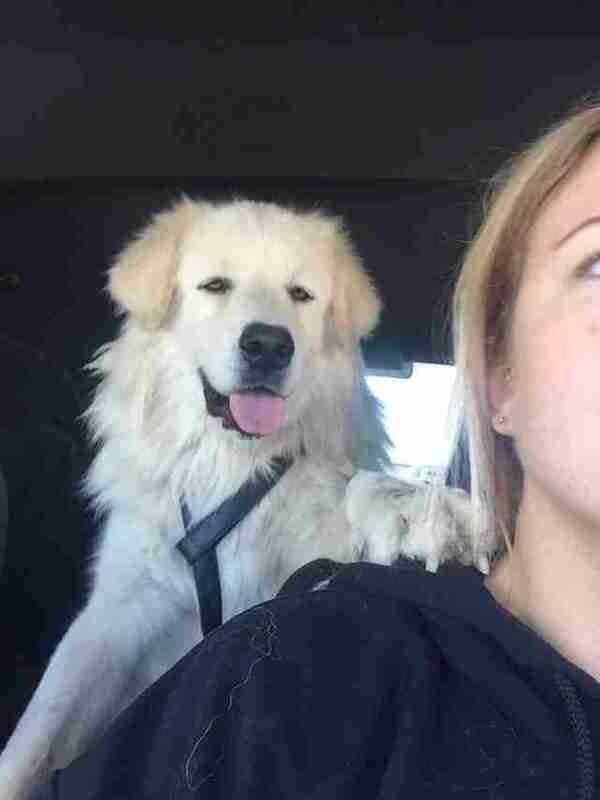 "When we were driving to the shelter he sat with his paw on my shoulder." Dallas Animal Services currently has the surviving dog after the harrowing event. If no one claims this loyal friend as their own, he'll be up for adoption at SPIN Rescue, an organization that focuses on finding Great Pyrenees dogs forever homes.